BREAKING NEWS : The IICCI is inviting proposal to open Nationak Branch of its Chamber from (57 OIC Countries & 5 Observer Nations of OIC = 62), Please Contact "Business, Industry" Hurry !! Hurry !!! MEMBERSHIP IS OPEN NEWS : IICCI Memberships- 1- Life Members,2- Patron Members, 3- Corporate Members,4- Individual Members, 5- Observer Members, 6- Goodwill Ambassador - Apply Now !!! CHAMBERS NEWS : National Chambers are invited to take membership of IICCI from all OIC Nations (57 + 5 = 62 Countries. WOMEN & YOUTH ENTREPRENEURS NEWS : Women & Youth Entrepreneurs are specially invited to become part of IICCI Women & Youth Committee, Please Contact. 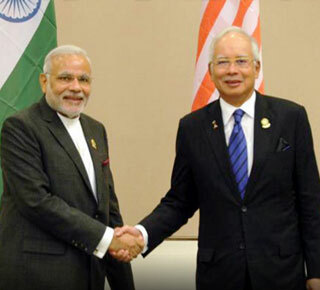 Bilateral relations between the Islamic Republic of Afghanistan and the Republic of India have traditionally been strong and friendly..
India and Malaysia relations, India-Malaysia refer to bilateral foreign relations between the Republic of India and Malaysia.The two countries share friendly ties. 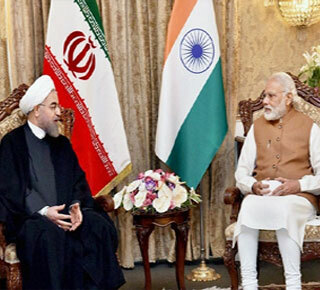 India and Kuwait relations are bilateral diplomatic relations between the Republic of India and the State of Kuwait. The two countries share friendly ties. 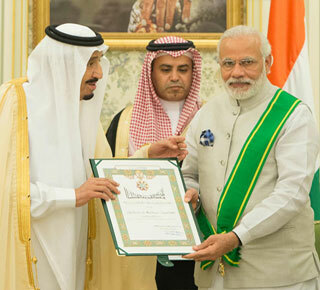 India and Saudi Arabia relations are bilateral diplomatic relations between the Republic of India and the State of Saudi Arabia. The two countries share friendly ties. India Exports & Imports The Government is keen to double its exports by 2013-24 to USD 500 Billion. To achieve this target, Indian exporters need to gear up to face the changed situation in World scenario. We have to diversify into newer markets and newer sectors. 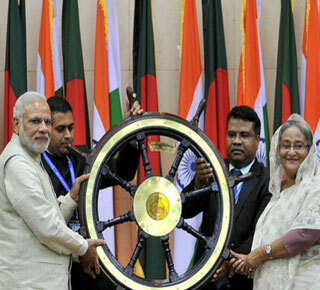 India has to strengthen it’s footprint in new markets in OIC Nations, Asia, African and Latin America. India has to become a major player in World Trade by 2020 and has to assume a role of leadership in International Trade Organizations which will commensurate with India’s growing importance. Exports are increasingly becoming important to Indian economy. 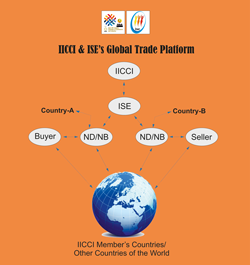 IICCI is actively engaged with Indian government to adopt ideal mix of policy instruments including fiscal incentives, institutional changes, procedural rationalization, obtaining enhanced market access across the world, and diversification of export markets. From a long term perspective, accelerating growth in merchandise exports would build up the manufacturing strength of Indian economy. Contours of India’s merchandise trade with the rest of the world have changed dramatically in the past six years. While the combined share of the US and the European Union as destinations of Indian exports declined to 30% in 2010-11 from 40% in 2004-05, the share of shipments to Asian economies jumped to 54% from 47%. Exports to Latin America and Africa also increased to 12% of the total from 10% in the same period. Government of India outlined a three-pronged strategy to achieve the goal: (a) Retain presence and market share in the “old developed country markets”; (b) Move up the value chain in providing products in these old developed country markets; and (c) Open up new vistas, both in terms of markets and new products in the new markets. Global GDP – expressed in current USD and based on PPP – has witnessed an increasing trend over the period 2011-2015, reaching to US$ 113.5 trillion in 2015 compared to US$ 94.2 trillion in 2011. Developing countries witnessed more rapid increase in GDP from US$ 51.5 trillion in 2011 to US$ 65.3 trillion in 2015. Total GDP of developed countries was recorded at US$ 48.2trillion in 2015 compared to US$ 42.7 trillion in 2011. OIC countries also witnessed an increasing trend in economic activity and their GDP increased from US$13.9 trillion in 2011 to US$ 17.1 trillion in 2015. As a group, the OIC countries produced 15.0% of the world total output and 26.1% of that of the developing countries in 2015. In current prices, the share of OIC countries in world total GDP is measured as only 8.6%. The average GDP per capita in OIC countries also increased from US$ 8,988 in 2011 to US$ 10,224 in 2015. OIC Nations Trade Outlook 2015 According to the OIC annual report titled the "Standing Committee for Economic and Commercial Cooperation of the Organization of Islamic Cooperation (COMCEC) Trade Outlook 2015, the trade volume among OIC member states rose around fivefold between 2000 and 2008 - up from $53.9 billion to $282.7 billion. Recovering strongly in 2010 after the global crisis, the intra-OIC trade volume - the average of intra-OIC exports and intra-OIC imports - continued to increase over the following years and peaked at $393 billion in 2014. From 2001 onward, the share of intra-OIC trade increased steadily except in 2011 when it declined slightly compared to the previous year. India’s trade with GCC India’s trade with GCC is growing at a rapid pace. In recent years GCC has emerged as India’s largest trade partner as a group leaving behind the EU. In 2014-15 India exported US$ 49.3 billion worth of goods to the 27 countries of EU and a similar amount to the 6 countries in GCC. In the same year India imported US$ 49.2 billion from EU and US$ 84.4 billion from GCC. The economy of India is the sixth-largest economy in the world measured by nominal GDP and the third-largest by purchasing power parity (PPP). The country is classified as a newly industrialised country, one of the G-20 major economies, a member of BRICS and a developing economy with an average growth rate of approximately 7% over the last two decades. India’s GDP growth in Q1 2015-16 stood at 7%. This was higher than Q1 the previous year at 6.7% but lower than Q4 last fiscal year at 7.5%. This may be due to seasonal changes. Maharashtra is the wealthiest Indian state and has an annual nominal GDP of US$330 billion,nearly equal to that of Portugal and Pakistan and accounts for 12% of the Indian GDP followed by the states of Tamil Nadu (US$150 billion) and Uttar Pradesh (US$130 billion). India's economy became the world's fastest growing major economy in the last quarter of 2014, replacing the People's Republic of China. The IMF expects India to grow at 7.4% in 2015 and 7.5% in 2016. Most other analysts expect India’s GDP growth rate to cross 7.5% next year. The International Nobel Peace Prize Recommendation Forum - INPPRF is the only International movement and came into forced to support the World Peace Movements, International Sports Organizations Inspired by the mission of the Nobel Foundation "Nobel Peace Prize", The International Non-Olympic Committee-INOC has approved joint award program with "International Nobel Peace Prize Recommendation Forum-INPPRF" and "International Non-Olympic University - INOU"." The INPPRF and INOU has jointly created an unique (5) five category of awards to identify, recognize, facilitate and issue certificate etc., to those who are eligible for these categories as National Brand Awards from Business, Industry, Individual and INOU International Education Awards from Global Education Society. 'BREAKING NEWS : Prof.Dr. Mohammed Seraj ANSARI Rector of INOU & President of INOC has awarded "Golden European Award For Quality & Business Prestige-2016, by “WORLD BUSINESS ASSEMBLY, SPAIN. '‘Best Enterprise Award’ goes to ISE Cards India Ltd & ‘Manager of the year’ medal. 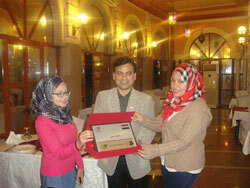 Award" goes to Dr. Mohammed Seraj ANSARI By London U.K.
'Mr. Mohamed Al Hammadi-Editor in Chief is giving Mememto to H.E. Dr. Mohammed Seraj ANSARI, Rector-INOU in his office, Abu Dhabi. 'H.E. 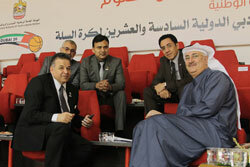 Dr. ANSARI Rector-INOU & his high level delegation met with Mr. Khalid Ali Bin Zayed-Asstt. Director General Dubai Municipality . The Global Halal Expo - India 2017: Global News : Indo-OIC Islamic Chamber of Commerce and Industry- IICCI (www.indo-oic-icci.org) has supported The Global Halal Expo - India 2017, which is going to be held in Hyderabad, Venue: City Convention Centres, Hyderabad, Indias from 19th, 20th & 21st September 2017. (For details, visit to : Fairs Exhibitions Organisers contract at : feoindia@gmail.com).